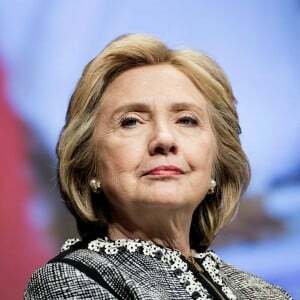 The Judge, Royce C. Lambreth, of the U.S. District Court for the District of Columbia, further noted that there have been “constantly shifting admissions by the Government and the former officials.” This was a veiled reference to the former Secretary of State, Clinton. Consequently, the petitioner (‘Plaintiff’) Judicial Watch, was, in his ruling, allowed — in accord with a prior judge’s ruling — to draw up its specific list of further evidence to be sought in “discovery,” in the case (which Judicial Watch had already done on March 15th), and, Clinton, the “Defendant shall respond ten days after plaintiff’s submission.” The prior judge’s ruling had already specified that Clinton(’s lawyer, David Kendall) has until April 5th to respond. Judicial Watch is to respond to that by no later than April 15th. Clinton (via her lawyer) had requested a denial of the petitioner’s request for “limited discovery” of more evidence, and the Judge’s ruling against her here is referring to what he apparently viewed as being already-existing “evidence of government [i.e., of Clinton’s] wrong-doing and bad faith,” so as to make clear, to her — though tactfully in a way that didn’t condemn her by name, but only as “government,” in order not to harm her (political career) outside the ongoing judicial proceedings in this case — that, in his opinion, which is based upon what he has seen thus far, the prospect of a final judgment against her is very real. It’s simply a warning to her. On February 23rd, a different judge, on the same Court, Emmet G. Sullivan, had already ruled that Judicial Watch’s request for additional evidence in the case was granted, by saying: “The Court grants  Motion for Discovery. … Plaintiff to Submit Discovery Plan To Court and Counsel by 3/15/2016. Defendant Response due by 4/5/2016. Plaintiff Replies due by 4/15/2016.” So: that ruling established the timeline by which the Court demands responses. Judge Lambreth’s ruling merely seconds Judge Sullivan’s prior one, but adds to it Lambreth’s veiled warning to Clinton. Whereas Judicial Watch is seeking additional evidence, Clinton has been seeking for the case to be instead either dismissed in “summary judgment,” or else, dragged on, until she has become elected President. The Court has clearly not been convinced that the case is meritless. Consequently, the question for her, at the present stage, seems to be whether or not some additional way to postpone judgment will be able to be found by Clinton’s lawyer. Already, by April 15th, the Democratic Presidential nominee might have been determined. And, if there is to be any indictment of Ms. Clinton on criminal charges, it would presumably occur after that time. Consequently, the possibility exists that she will be indicted while she is campaigning in the general election, against the Republican nominee. Anyone who votes for her before this case is cleared up is, apparently, comfortable with having helped to nominate a person who might be a criminal defendant campaigning against the Republican nominee. Alternatively, the Democratic Party’s 715 superdelegates might be able, if an indictment comes down prior to the Democratic National Convention on July 25th, to hand the nomination to her competitor, Bernie Sanders. However, if an indictment comes down after the end of that Convention on July 28th, there might be no way of salvaging election-year 2016 for the Democratic Party. Judge Sullivan was appointed to the Court by the Defendant’s husband, Bill Clinton. Judge Lambreth was appointed to the Court by Ronald Reagan.